< Honda is going all out this year and you could be the winner of a $3704.00 prize pack in the Honda 2019 Power Equipment Prize Bundle Contest. You can enter at Honda promotion events as well as online. This contest will be running all year long and will end on December 31, 2019. Open to all residents of Canada. 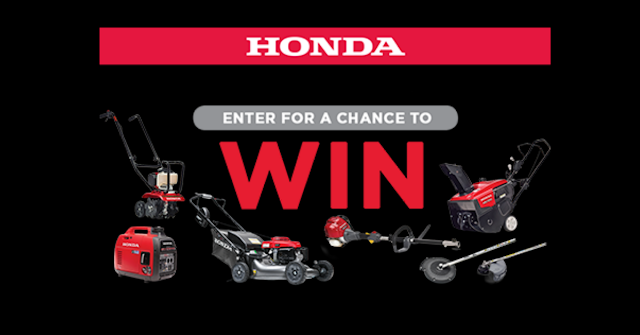 Enter to win a Honda prize pack.